This giant purple cube appeared out of nowhere and everyone wants to know what it’s doing. The fifth season of Fortnite has been a wild ride, from rifts opening up above the battlefield to popular icons disappearing off the face of the earth, all while players fight for that sweet victory royale. With all this action going on, it’s easy to miss some little details, but no one could possibly overlook the giant purple cube making its way around the Fortnite: Battle Royale map. The giant purple cube is probably the greatest mystery to ever enter the world of Fortnite, and the community is having a field day trying to unravel its secrets. What does the giant purple cube do? Where is the cube going? What does it want? What’s in the cube? What does it taste like? All very important questions that we need answered! We’ve done a little digging around the internet, ventured down the rabbit hole a little bit, and have come up with some pretty convincing conspiracy theories surrounding Fortnite’s purple polyhedral puzzle! 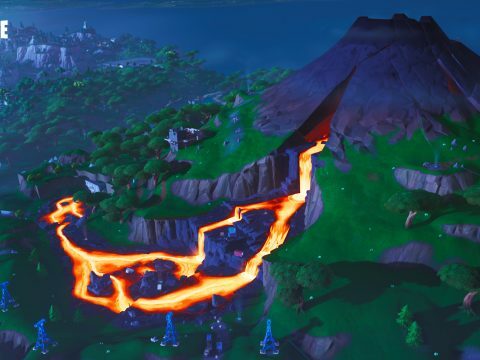 When the cube first landed in Fortnite, players were clearly thrilled to see such an otherworldly entity on the map. Selfies were taken up against it, the cube was given shelter, and everyone wanted to track it down. For a while, it seemed as if the purple cube could only do a few things: push things away from it and shield itself from damage. However, players were beginning to notice some odd things about the cube, like the runes engraved on its surface. Things were going to get even weird though, because the cube started moving. Once the cube started moving, all hell broke loose. The cube wasn’t just moving, it was actually killing and destroying everything in its path. It went from a friendly piece of scenery to a real and present threat. 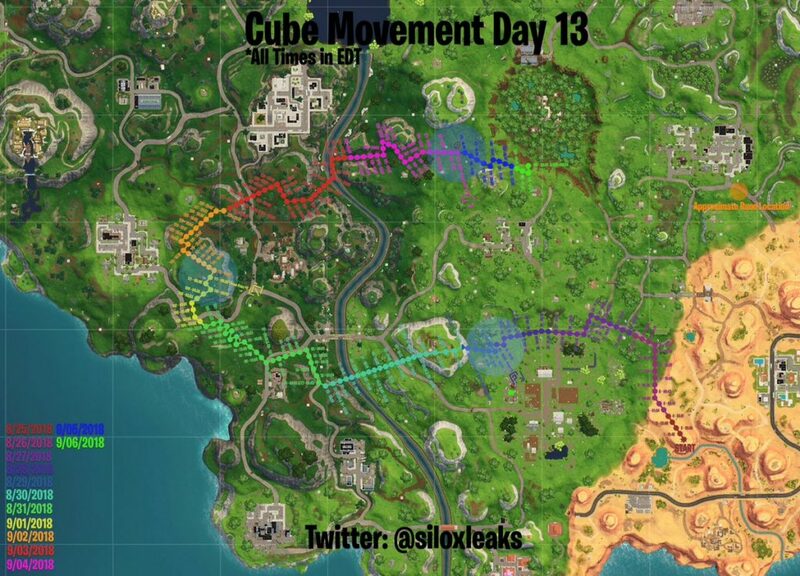 A huge community effort began as players scrambled to figure out the cube’s trajectory, its speed, the rate at which it moves, all in an effort to map out its path. Players soon discovered that the cube moves after a specific amount of time, although they were no further along working out where it was going – but there were theories. A lot of these theories began shortly after the cube began communicating. What began as a silent hulking purple cube sitting in the desert, quickly escalated into a world-shaking mystery for players, and it only got weirder after the cube started leaving runes burned onto the ground. No one could predict it, but sometimes the cube would suddenly affect the gravity around it, sometimes to hilarious effect. 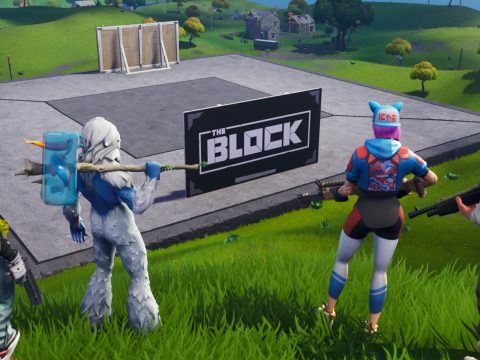 One particular case happened in the middle of a Fortnite esports event, teams were fighting it out in a tiny field, right beside the cube – and then gravity stopped working. The cube was now having a direct effect on the outcome of high profile matches! Though the gravity effect was fun, the community was more focused on the runes being left behind from the cube. And as all good humans do, players decided to name the cube now that it was trying to talk. What do you name a god-like alien entity whose plans you cannot fathom? Why, Kevin, of course. The runes being left behind by the cube were mere jargon at first. The imprints on the grass were a mixture of lines and boxes, which meant very little, until players began piecing them together. Each time the cube left a rune behind, players added it to a library of runes. Over the course of days, the collection of runes grew to the point where players began making more theories and estimates of what it meant. Some have suggested that the purple cube will make its way to Loot Lake and, using its anti-gravity effect, rise up an ancient pyramid structure. Others believe the cube will annihilate the entire map, destroying everything there ever was, ushering in a new world after a fiery Armageddon. Some players think it links to Norse mythology and iconography representing safety against evil. This theory suggests that the cube will go to several points around the map “protecting” them from the coming Ragnarok, which just so happens to be a name of a skin rewarded as part of the Battle Pass. Out of all the theories, there was one that was considered the best option: Tilted Towers was going to be destroyed. It’s been a long time coming, as players were predicting the destruction of Tilted Towers for months, but now there seems to be a solid argument. Thanks to the hard work of the community, some players were able to create what appeared to be a blueprint of a location by assembling the runes together. 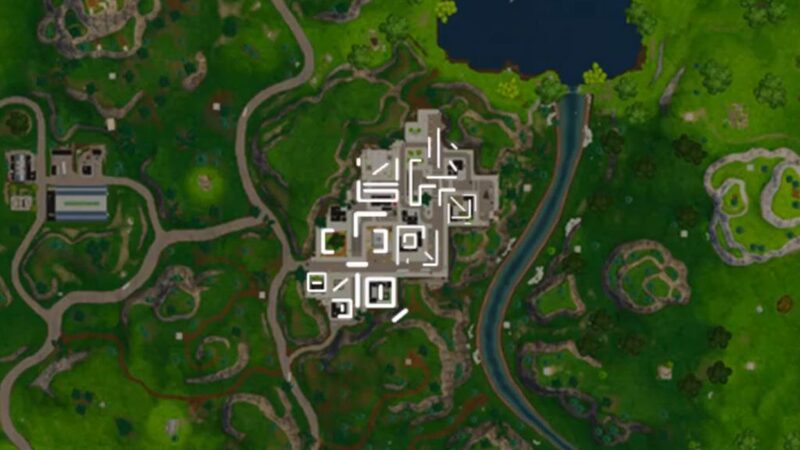 The blueprint just so happens to take on the exact layout of Tilted Towers. While this doesn’t necessarily guarantee anything, it’s a pretty strong case for the imminent destruction of Titled Towers at the hand of the purple cube everyone likes to call Kevin. 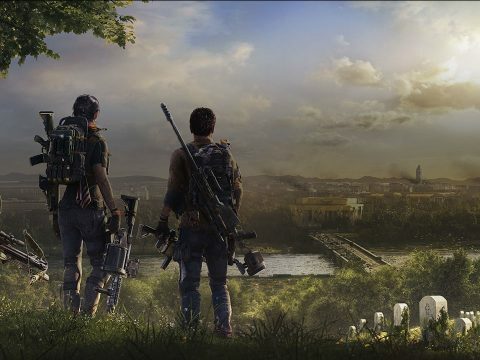 Season 5 is quickly coming to a close, and players are preparing for the next major event that Epic Games will be dropping into Fortnite. 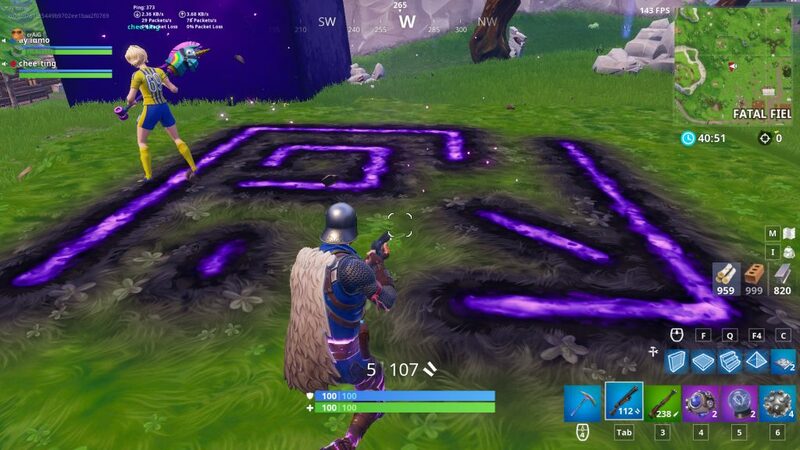 There’s a good chance the giant purple cube will play a significant role in ushering in a new season, though no one knows for sure what will happen.